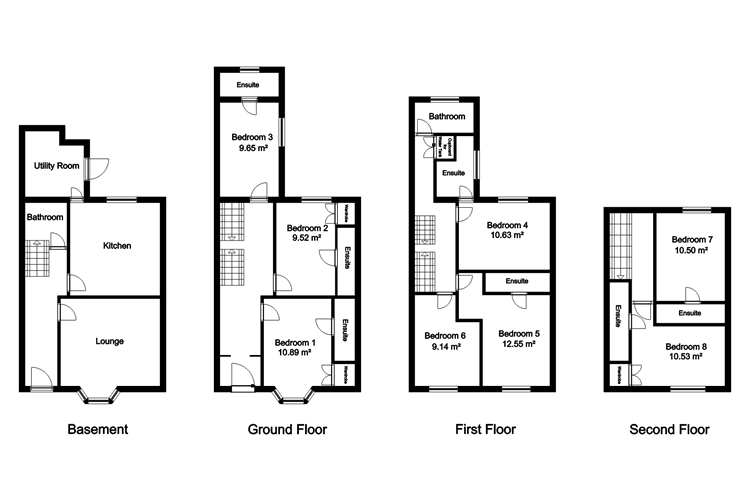 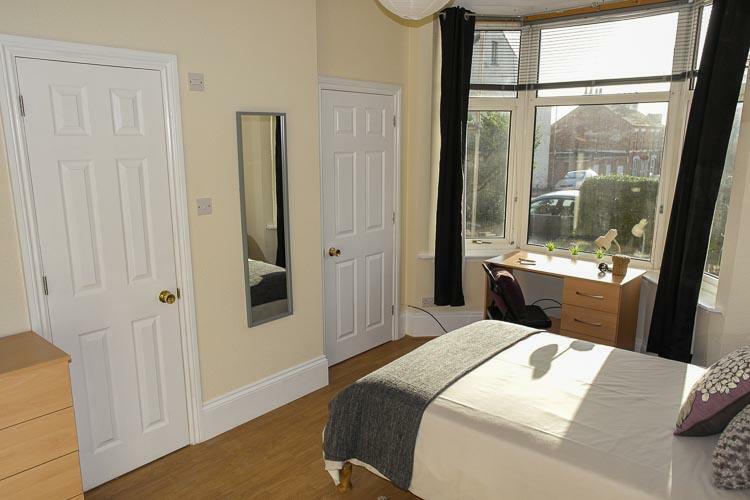 This huge 4 storey Victorian house is one of our most popular houses with 8 bedrooms. 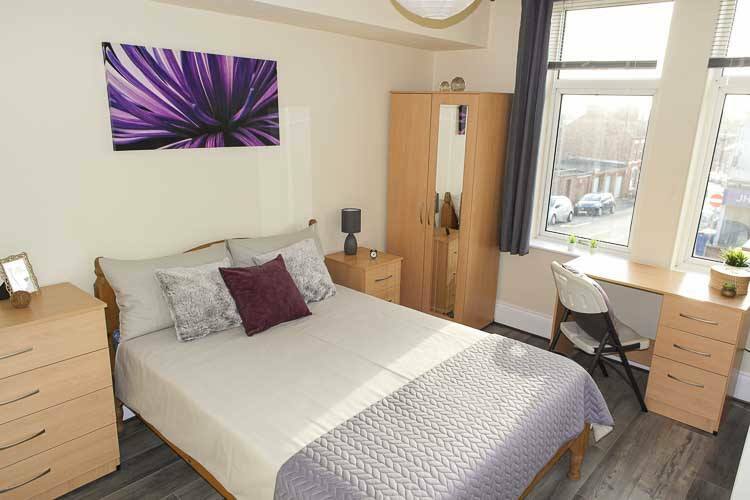 It is conveniently situated in the popular student area of Semilong close to university's Avenue campus, and on the connecting bus routes to Waterside Campus. 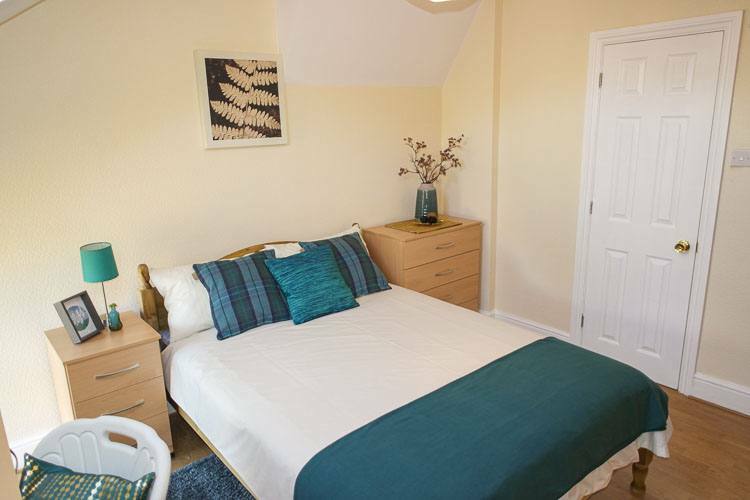 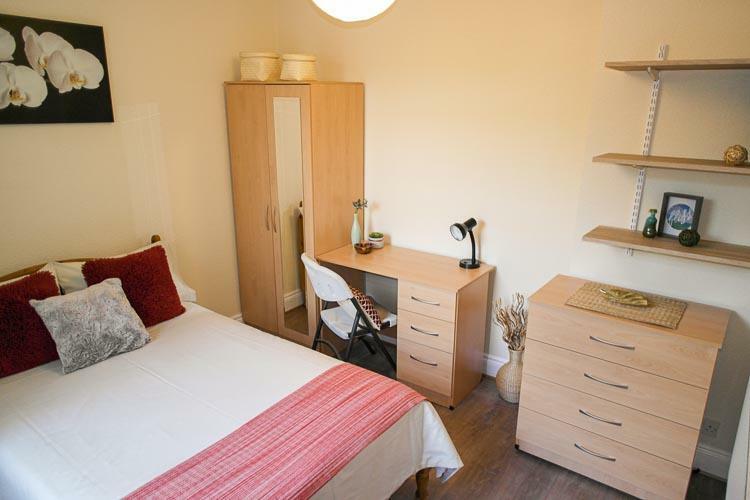 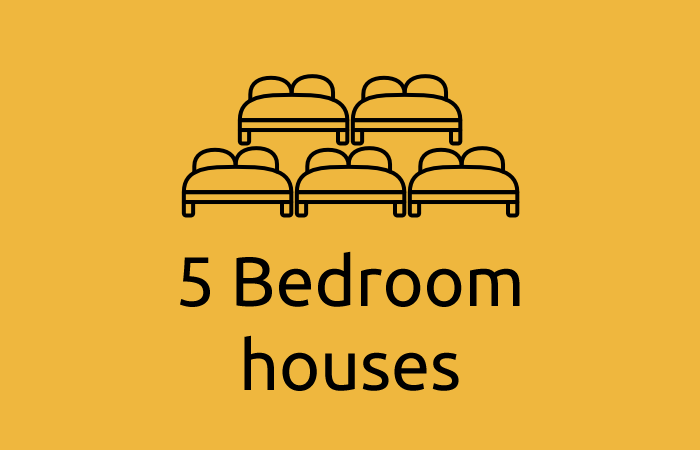 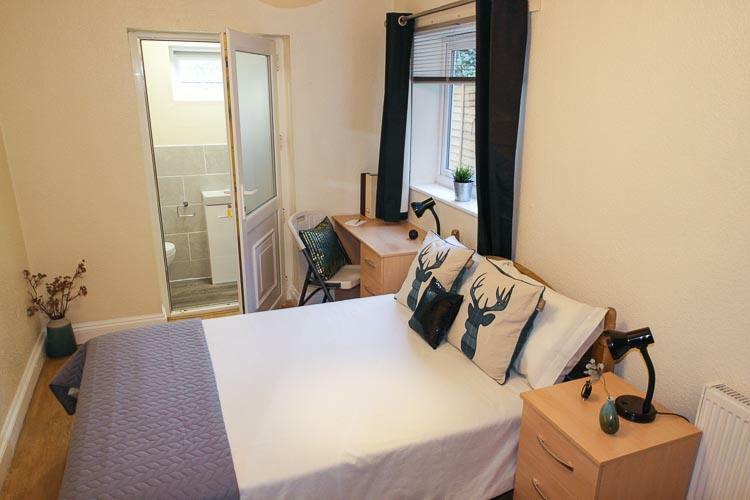 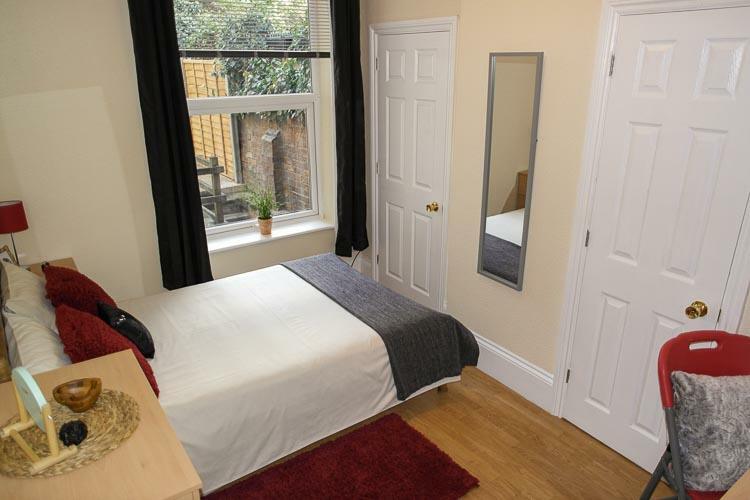 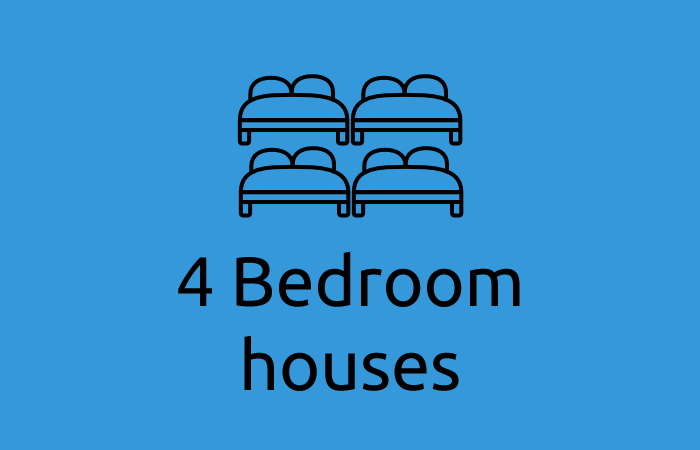 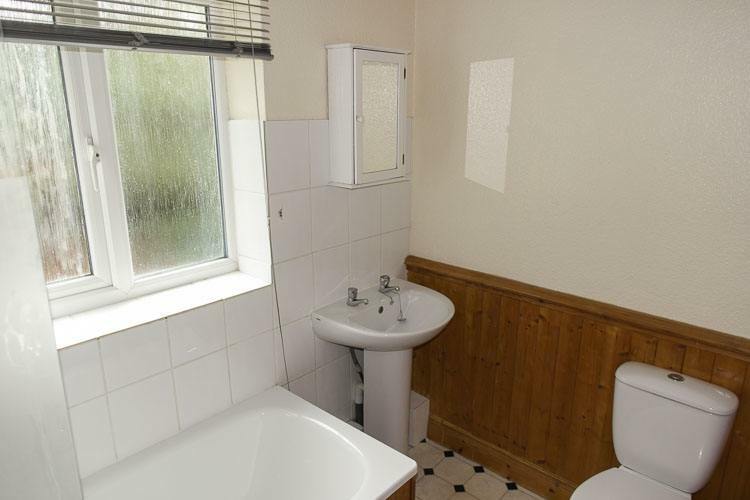 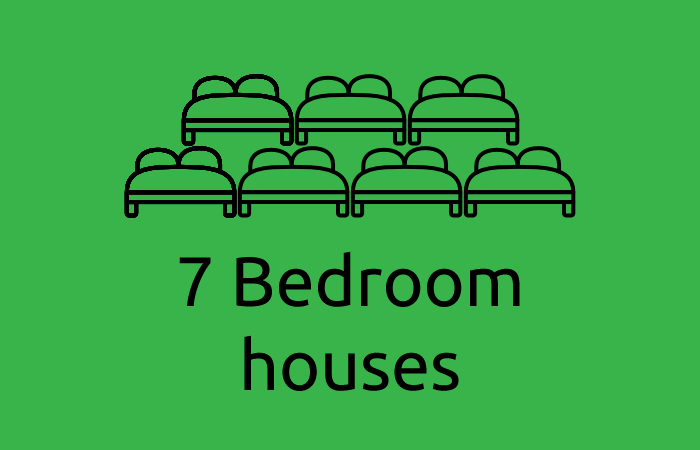 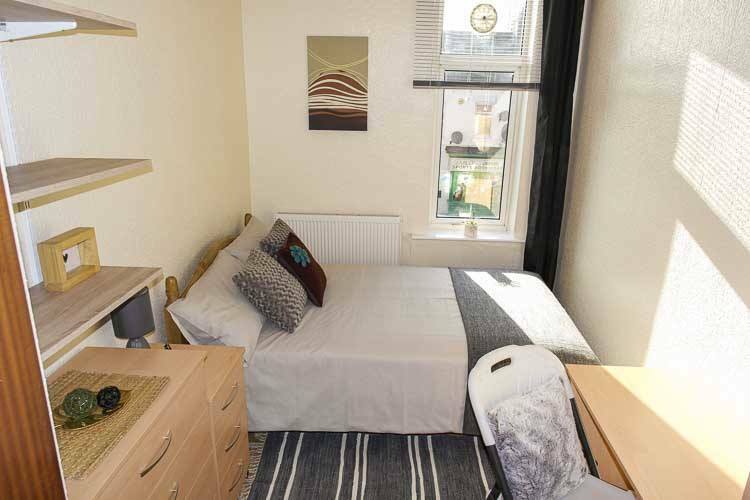 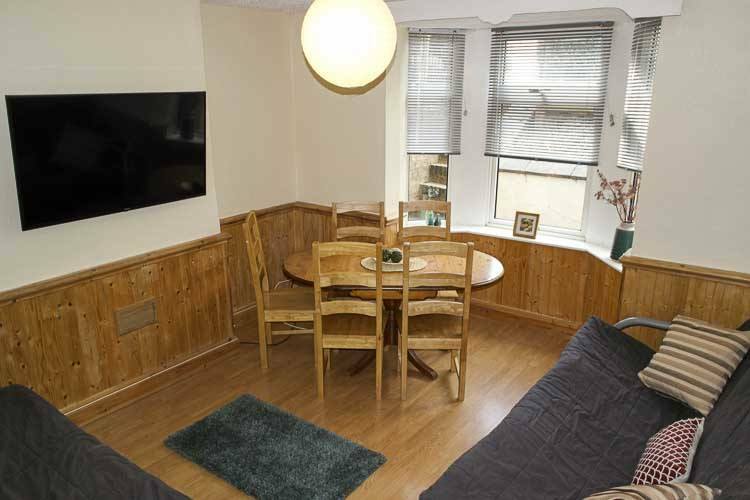 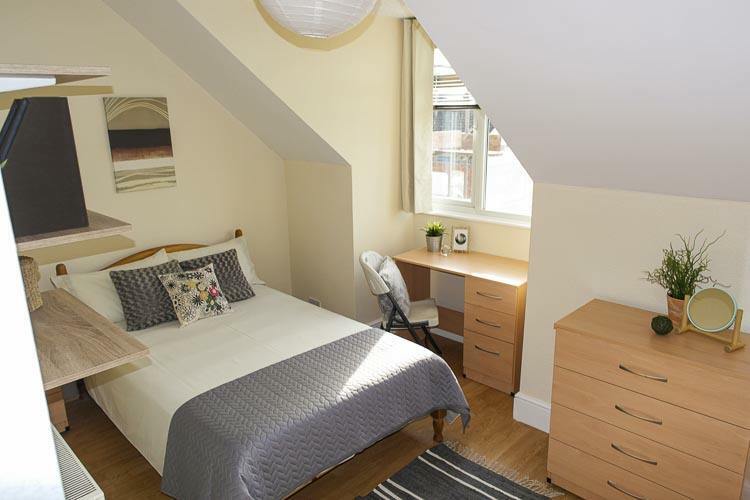 All rooms have double beds, laminate flooring, double glazing, matching furniture and TV points. 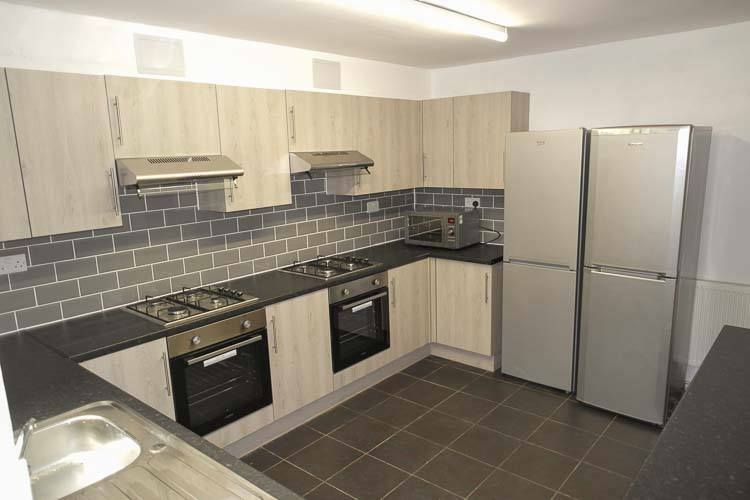 Kitchen has double oven, 5 ring hob, combination microwave, 2 fridge freezers, and dishwasher. 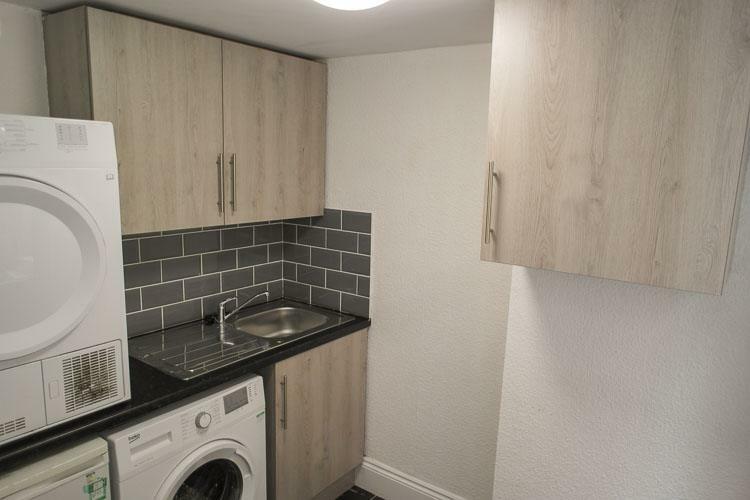 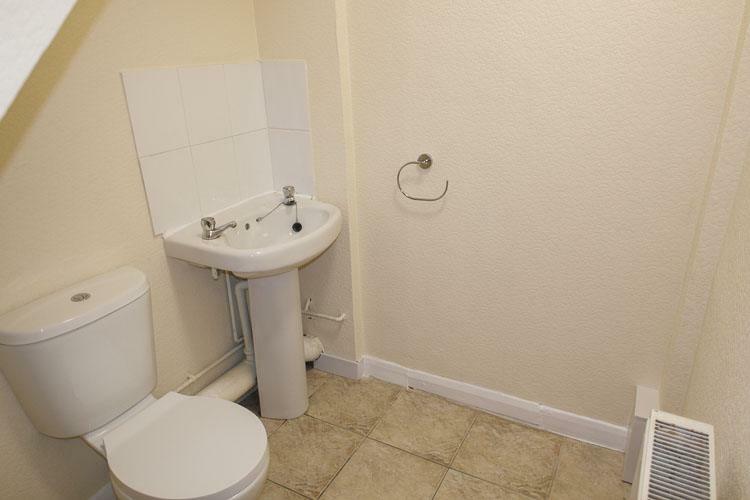 Utility room has an extra freezer, washing machine and tumble drier. 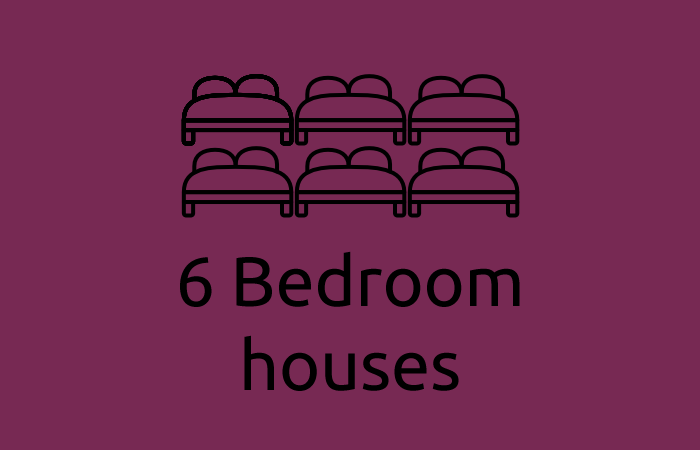 Lounge has 2 4 seater futons and dining table and chairs.